The first photograph is from the archived collection in the Heritage Centre. The information on the history was collected by the late Jim Hamilton. 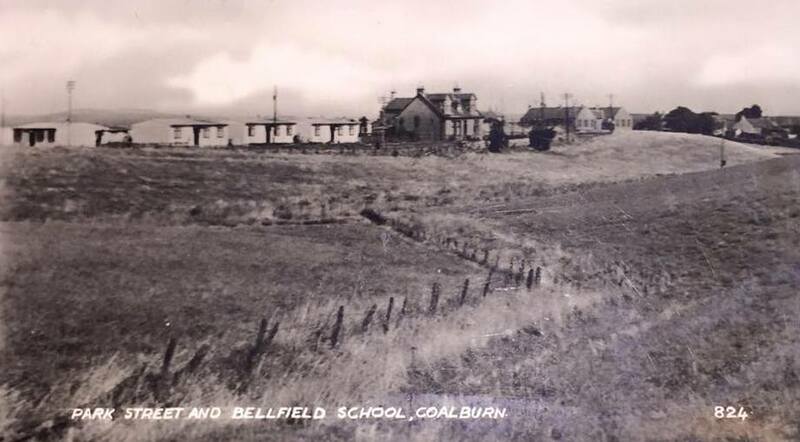 To help with the high demand for housing in the Coalburn area, the council built prefabricated bungalows (prefabs) in Bellfield. Site preparation began in May 1947 with the road system. Brick foundations were laid in October that year. The erection of the prefab buildings took place over three days in January 1948. Early in May, the 16 homes were allocated to tenants leaving so many unsuccessful applicants sorely disappointed. In the week of May 22nd, the tenants were moving in. These were very desirable two-bedroomed homes at the time, as they had a large fridge in the kitchen and separate inside toilet and bathroom which was unusual at the time. However, the steel framing meant that they were cold in the winter. Initially there were no street lights in Park Street. The first tenants were : John Prentice, Tommy Meikle, Jimmy McGonnigall, Geordie Callan, Bobby Greenshields, Bill Allan, Jimmy Muncie, Jack Gray, Jimmy Twaddle, John Hogg, Bobby Payne, Bobby Carmichael, Alex McCormack, Jack Imrie, John Brown and Jimmy Reid. Prepared 14 September 2018 by DH: Updated 16 October 2018. I am grateful to Peter McLeish for additional Information.